I was interviewed about some of our research work… This was on the top floor of a building overlooking the Thames. With the start of the Olympic Games just days away, every few minutes another helicopter would go over, hence a lot of editing. Anyway, I felt it worth saying about this interview again now while I am getting some help tidying my place – skip to 4m 16s to hear what I was saying about surroundings. Then at 10m 40s I share my views on medication. These have not changed, “the same drug everyday is not likely to be ideal”, “people need choice” (for those in USA paracetamol = acetaminophen). Something that is great about having this blog, that is not directly connected to my business (that I do because I do not want others to suffer through ignorance as I did) is having the freedom to change direction and share what is on my mind that I feel will be of benefit. You may have noticed how excited I have been about the iThrive series and seeing its links with mood and therefore with bipolar disorder. This morning, I am feeling very much as the creator of the series shares in an email I just opened. I’m simply going to paste most of that email here and ask how much you have needed to (or will need to) change your life to truly be the best you can be? Every day we have a choice… to open our hearts to the world or not. To care about ourselves enough to take care of ourselves. It’s a risk to open our hearts again… to love again… and to try again. We can fail. And we can be hurt. For years I hid away from the world. Today, I choose to LIVE! I choose to LOVE today. I choose to feed my heart, my cells, my brain and my soul with the care, the love, the nutrients, the fresh air, the movement and the connection that it takes to truly thrive! I will wake up and great the day anew. And I will aim to honor this one precious life I have, and my new-found mission! I will do my best to be an example to you and everyone I meet. But when I do, I will not retreat in shame and self-blame. Episode 9 — The Last Episode — it’s still here a little longer (9th March 2018). New health documentaries are coming out so quickly these days it is challenging to keep up. This series on diabetes has been great. I said about being disappointed with episode 4 but they were soon back on track. 5,6 and 7 all great! Now I have episode 8 playing. The subject is fasting, which would seem to be the fastest way to reverse diabetes. Essentially you stop adding sugar to your body for a while, then the sugar in blood goes down and things start to heal. Okay, for a lot of us that is nowhere as near as easy as it sounds. It may also need medical supervision if you happen to be very unwell. Food and mood are so linked that I see regaining the ability to fast, even if just going for 12, 14, 16 hours without food in each 24 hours can be hugely beneficial. It is a matter of retraining our digestive system and brain such that we can walk past temptation and only eat when we plan and need to be eating. It is 1pm here. Last ate at 7pm yesterday. Time for my break fast. I like how it feels and that having skipped eating in the morning I feel okay to eat a big meal now… feasting – it goes with fasting. All 7 episodes were screened for free in February 2018. Why am I sharing this at Rethinking Bipolar? Whatever helps us to live longer is almost always what helps us to manage our moods or live well whatever mood we find ourselves in. It is all linked! For example, see Episode 3, which matches my own experiences of eating well doing me far more good than any medication. Today, as I update this page, there is no free screening. If you’d like to know more about how this information can help you with understanding your mood while getting healthier please do ask via the comments option. Embrace Your Weirdness. This is what Ed Sheeran suggests we do. He also says, “Get the treatment you need.” Now, that is not especially about moods, but think about it… If you are not recovering or keep getting unwell, then the treatment you need may not be what you are being offered at this time. Who is Ed Sheeran? An amazing person – Almost 400 million views – Wow! I heard that aluminium may cause brain troubles many years ago. It may have a little to do with bipolar as it has mainly been linked with Alzheimer’s. A few weeks back I heard that drinking silicon-rich mineral water might help to flush excess aluminium from our brains. Please let me know if you’d like to hear more about amazing possibilities for recovery. Can there really be an optimum diet? It perhaps depends on what we mean by optimum (or maybe it is optimal?). If optimum diet means the best diet we can work out for ourselves, and a diet we can stick with, to keep us healthy then, yes, it just takes a while to figure out what is good for us. Why did I start searching for my optimum diet? Stress caused indigestion, such that I could not sleep and this led to a psychiatric admission where I was heavily sedated, and started to rapidly gain weight. I reacted badly to some of the newer sedative drugs and was diagnosed as bipolar. Eventually coming off the drugs I then had gut pains almost every night. I had to work out what was causing these pains. It took me years to find most of what works and does not work for me. Even with my current optimum diet my quest continues as there is always room for improvement. What has worked for me is finding out more about our daily needs for moisture, protein, fat, carbohydrate and fibre. That makes five ‘macro-nutrients’ to be balanced. There are plenty of micro-nutrients#1 to be considered too, just that I have found that getting the five macro-nutrients in about the right proportions at each meal time to be life changing. I was once told, “eating fat makes us fat”. It sounded so believable. It is so untrue. What I was eating that was putting weight on was a lot of carbohydrate, and the same was true for every person I knew who was getting fatter. We were all addicted to carbs and we were cutting back on fat. It wasn’t working. I came to believe that “eating lots of protein is a good way to get slimmer”. This is half-true. Protein is more slowly digested than carbohydrate and usually makes us feel fuller for longer. Changing to a high protein/low carb diet is slimming. However, it is rarely a good long-term plan, as high protein diets are often not high enough in fat. On high protein I lost 40 pounds in weight but gradually felt weaker and was not sleeping well. See point 7 that I have just added below – 25th August 2016. I was told that “fibre does not provide any energy and so is slimming”. Yes, fibre can help with slimming, however gut bacteria can partially digest some fibre for us, giving us extra energy. This turns out to be a good thing for moods as this energy is released gradually and helps our guts to work better. I believed, “fruit is slimming”. If you look around (in UK) you may well notice that most over-weight people are eating lots of fruit and very little of green vegetables. Fruit is high in the fruit sugar, fructose. Unlike glucose (the main ‘vegetable sugar’), fructose is not used as energy by the muscles but can be readily turned into body fat by the liver. Fruit may be good, just rarely as good as salad and vegetables. 1) Proper meals need to have a good percentage of both protein and fat as once digested these can travel through the blood together as lipoproteins, to allow the right fats to be delivered to the right parts of the body and brain to allow repairs. This seems to help a lot with steadying mood. 2) Most of us are not getting enough good quality fat and are often short of fats known as omega-3 and MCFAs. 3) It is close to impossible to have fried foods not containing damaged fats, so my current optimum diet is one with no fried foods. 4) The brain needs glucose, so although we can live with almost no carbohydrates, this is likely to lead to misery. I can get enough glucose by digesting vegetables without needing to eat grain/cereal every day. 5) There are many types of fibre, so eating a range of vegetables and just a little fruit every day helps with steadier digestion, which in turns helps us to have more of the moods we want to be having. 6) There can be no set amount of water to go with our diet. Learning to be guided by thirst and drinking as soon as I start to get thirsty works for me. Carrying a bottle of water on all but the most local journeys makes a lot of sense. 7) It is 2 years since I published this article (16th July 2014) and reading it through today (25th August 2016) the only thing I want to add is: It is so easy to eat too much protein. If you have always eaten meat and fish it takes a while to get used to eating a little less protein. I believe it does help for long-term health and mood stability. For me, a diet with only about 15% protein and close to 50% healthy fats (including; avocado, nuts, seeds, olives and butter) seems to be helping my liver and kidneys to heal after all those years on prescription drugs and lithium. Eliminating the disorder part of bipolar is likely to require dietary changes. For me the most outstanding results have come from increasing#3 my variety of fat sources and ensuring every meal has a good content of healthy fats. It was the extra fats working with the protein in each meal that allowed my brain and body to heal and allows me to go longer between meals. Balanced meals help us to avoid slumps in energy and periods of despondency. This approach continues to work for me. #1 I will be writing more about micro-nutrients and how these link to common modern disorders. #2 I have written about or am writing about these aspect of balancing diet and mood. Contact me if you would like to learn more now. #3 Overall I am only eating a bit more fat as I cut out fried foods. Eating more fat and being more active go together. If we eat more fat then we are going to need to walk more. When I do eat more fat I find it easier to be doing more exercise while being less tired. I will write more about this later. Who benefits when you take medications or psychiatrc drugs? All drugs are potentially addictive, so suddenly stopping the use of any medication or psychiatric drug can be dangerous or even extremely dangerous. find out more about what the medication or psychiatric drug really does and not just what the manufacturer says it does. talk to your doctor about whether you could have help in gradually reducing the dose. whatever your doctor says about gradually reducing, ask others if this is going to be gradual enough – this is important because so many people accept medical advice to come off a drug too quickly resulting in terrible reactions. Be aware that when you take less you may start to feel great and be tempted to take even less too soon. This is a huge risk, because medications and psychiatric drugs usually sedate and then being less sedated can feel too good! It takes time to adjust and learn to cope, especially when less sedation allows us to feel more normal anxieties and just normal anxieties can be overwhelming if we have not experienced these for a while. I worked for ‘big pharma’ in the 1980’s. What Gwen Olsen says in these videos is true. She is brave to be saying such things as big businesses do not necessarily want everyone to know how they go about convincing doctors to prescribe some very toxic substances. A personal note from Roger: When I used to teach about bipolar while believing I would need to take pharmaceuticals for life, my courses were popular and I had plenty of bookings. Now that I share about ‘low-med’ and even ‘med-free’ bipolar, there is very little paid work for me. Telling the truth about medications and psychiatric drugs can lead to reactions from organisations that see no alternative to pharmaceuticals. Overall though, finding a doctor who was supportive of my plan to reduce my intake of pharmaceutical drugs was the right thing to do. If you are continuing to be unwell and your doctor is saying that you need to keep on taking the same drug at the same dose, or more drugs or higher doses then it is probably time to find a new doctor. I love Dr John Bergman’s videos. I have not seen a bad one yet. This one has inspired me to write again on Rethinking Bipolar after a few months away. John is saying things that I have been sharing with clients. He says it so much better, so much more clearly, in a more entertaining way and has some great slides too. If you ever had bipolar and took any of those psychiatric drugs that tend to go with bipolar then you are going to want to be repairing your liver as part of getting back to being as fit as you can be. The doctor explains what you need to do, so where might I come in? I can help you to grasp the root causes of your troubles and support you in quickly eliminating or reducing the most damaging of these causes, allowing you to have better physical and emotional well-being. Rethinking Health consultations are £50/hour – not cheap at all, so please only contact me if you are serious about getting better. And yes, there is life after bipolar – you mainly need to meet up with people who know this to be true. I found it difficult to accept that my gut health was such a huge factor in determining my moods. For years I did not believe anyone could eliminate mood disorder from their lives. I was wrong. 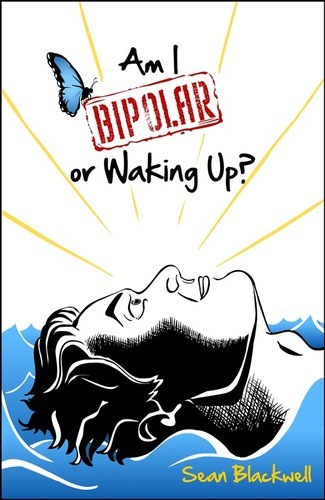 Bipolar disorder is not a specific illness. It is more a set of symptoms, many of which are driven by or made worse through having damaged guts as Dr Bergman explains in the video below. The USA is way ahead of the rest of the world with far more bipolar disorder and more use of psychiatric drugs to maintain the disorder. On the plus side there are more experts in the USA who understand healing processes and especially the part gut health plays in disorders and cures. If you find full recovery difficult to believe that is understandable because it so different from the common message of life-long disorder. As I have said before, it is the people who believe recovery is possible who are able to recover. Please keep an open mind and believe things can be a lot better. Eliminating bipolar disorder involves making lifestyle changes, which in my experience always includes improving our gut health by changing what we put in our mouths. There is of course more to eliminating mood disorders than Dr Bergman can cover in a 47 minute talk, but knowing more about how our guts affect our moods is a great place to start. Alice and I made this film at Rethink’s London HQ on the Thames just before the 2012 Olympics.